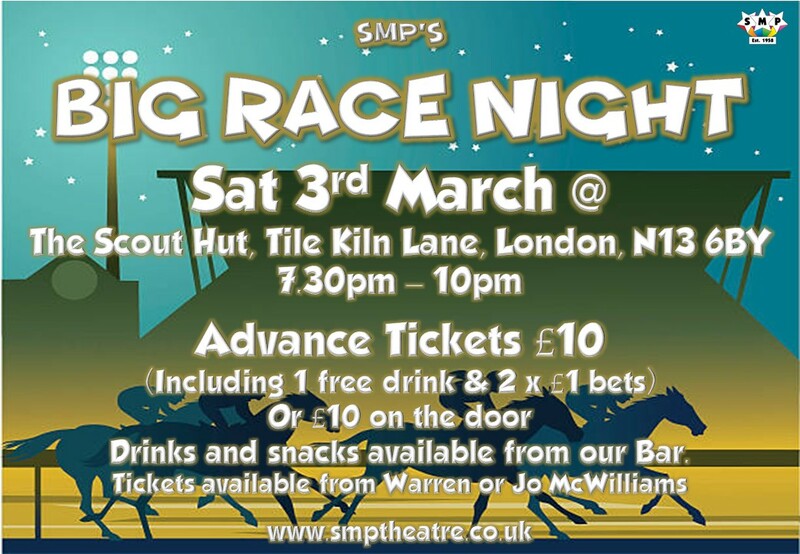 SMP’s Race Night is back and this time it’s bigger than ever! Join us on the 3rd of March for an evening of fun and frolics as Master Bookmaker Mike Benyon guides us through an evening of ‘Racing’ with a few extra special surprises thrown in throughout the night. Bet on the races, become a owner and try to build a winning stable. We hope to see as many of you there, please bring along all your friends and family for what has been a great night in the past. All proceeds from the night go towards the group. Tickets are available in advance from Joanna or Warren McWilliams. Advance tickets are £10 and include entry, a drink and 2 free £1 bets. Tickets will also be available on the door at £10. Will you win big on the night? The only way to find out is by coming along and playing. Here’s a reminder of one of our old ‘Special races’ from the past.